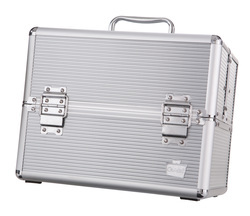 Started from a comment made by Vanna White, since 1987 Caboodles has introduced generations to cosmetic organization. Throughout the years Caboodles has re-vamped their products to keep up with the modern woman. Caboodles organizers are great for organizing make-up and can even be used to organize jewelery. Their latest cases like "Goddess" have tons of compartments and are easily portable for travel. The word incense is derived from the Latin word, 'incensus' which means to ignite a passion or emotion. For centuries, people have used aromas derived from flora, fauna and essential oils to purify the mind, body, and spirit. MyInsens creates high quality natural incense sticks which are hand-rolled in India. 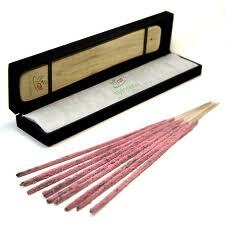 Each box contains 24 incense sticks with an incense holder that is presented in a velvet box. Each scent is used to invoke a specific emotion. vbeauté products allow healing, anti-aging and DNA protecting abilities that track with your skin’s own cellular needs. No matter your age, climate, stress level or lifestyle, v gives your skin exactly what it craves. The It Kit® is a customizable skincare system that contains five skincare essentials, which include: Undercover Agent®, Rub Off™, Evidence Eraser®, Buying Time® and Eye Never®. These products are housed in a gunmetal clutch that is easy to take anywhere, anytime. With a patented design, the "It Kit" is refillable. TUSK creates the perfect gift for "Gadget Girls"-- Tusk Cross Body Bags! 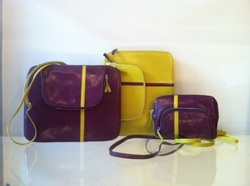 These bags are perfect for the on-the-go woman that want a stylish accessory to hold their cell phones and/or tablets. The larger TUSK Cross Body Bag can hold an iPad & iPhone and retails for $158 (UR-756). The smaller TUSK Cross Body Bag fits your iPhone and a few other small items and retails for $118 (UR-755). After experiencing the tragic events of 9/11 firsthand, the founder of Otrera who was one of the survivors of the Twin Towers, decided to create a line that protected people using good luck symbols from different cultures. Using these cultural intepretations to define style she has created a brand that promotes positivity. Her line includes Evil Eye, Hamsa and Mayan prints which promote good luck and protection from evil. Otrera's signature scarf is the Evil Eye Scarf (shown above) that is available in multiple colors and includes hand sewn glass evil eye charms and is available in silk chiffon. Lonely Planet entices us with ancient trails, underwater chasms and ice-clad peaks in their new hardback book "Great Adventures". This new book showcases the world’s most thrilling adventures taken by foot, pedal or paddle to awe-inspiring natural spectacles and on adrenalin-charged feats! You don’t need to be an adventure seeker to appreciate this book, but you will need to embrace the spirit of adventure! Ever had to drag your heavy laundry to the laundromat- which not only strains your back but took a lot of time? Caddy Concepts has created a great way to move your laundry and to store it! 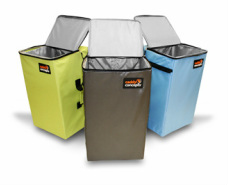 Caddy Concept's Portable Laundry Hamper is both a hamper and laundry cart with pop-up handle, 4-inch wheels, and durable water resistant construction. This unique portable hamper has a large storage capacity and can also be used for transporting sports equipment, groceries, toys, and beach gear! It's also great for storing unused items. Tired of getting tangled up in wires when you are running on the treadmill? You no longer have to deal with wires when using Miikey's wireless stereo headphones "MiiSport". MiiSport are the only headphones that can be connected via Bluetooth and includes a built-in MP3 player! MiiSport works from up to 33 feet away from your iPhone or any other Bluetooth device. You can store up to 7000 songs using a 32 GB Micro SD card plugged into your MiiSport. With a built in battery, you can play music for up to 7 hours, talk time is up to 10 hours, and 300 hours of stand-by. 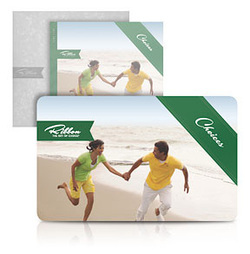 Ribbon Gift Collections are the easiset way to give the perfect gift to a friend or loved one. The idea is simple- you can give the gift of choice. Collections are priced from $30–$1,000 and feature top-quality brand-name products. And, Ribbon Gift Cards never expire or lose value. Ribbon Gift Collections are a great way for you to surprise someone with something they want or need without them knowing the cost! The Flawless Foundation takes a stand for children living with brain-based, behavioral challenges by promoting educated awareness about neurodevelopment, providing evidence-based, holistic treatment programs and by advancing environmental and prevention focused research. Flawless envisions a world where every child living with behavioral challenges feels flawless and is understood and embraced by society. 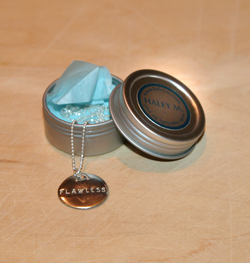 Feel Flawless a sterling silver hand-crafted "Flawless" necklace! Fifty-percent of all proceeds from the purchase of the necklace will be donated to support the work at The Flawless Foundation! Gift Suggestion: Girl Friend, Wife, Mother, Friend. Do you have a fear of approaching someone you find attractive? Learn how to get over your fears and Flirt without fear! Flirting and communications expert Rachel DeAlto breaks down the rules of the communications game step-by-step, from the pre-flirt prep all the way through the first kiss in the book "Flirt Fearlessly". Providing specific and targeted advice to help you improve your game, learn how to unleash your inner flirt as you focus on feeling good about yourself and making others feel good too. This book will help you learn about tapping into your natural confidence, the best way to make the approach, flirting locations and much more! One of a kind "Light-up Lip Gloss" helps to perfect your pout effortlessly with the ingenious light-up applicator that contains an LED light and built-in mirror! You never need to look for a light or a mirror when re-applying your lip gloss at night! Artistry's shiny sheer lip gloss keeps lips looking luscious with shades that complement any skin tone!